"Looks like there's a tiger on the loose!!!" tweeted Katy Perry on Friday night, just after office hours ended at Discopop towers. 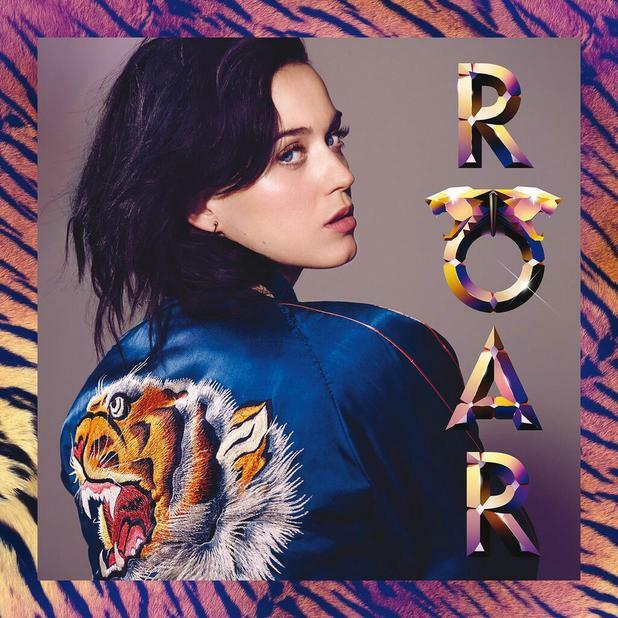 So here, two days late, are our first impressions of her new single, Roar. 00:00 Sounds like Hard Knock Life. 00:10 No longer sounds Hard Knock Life. 00:29 Paging the tabloids: "You held me down, but I got up". "I got the eye of a tiger". "You're going to hear me roar". 1:15 Indelible post-chorus earworm. Roar-oh-ah-ah-ah-ah-oh. 1:30 "I went from zero to my own hero". Oh dear. Second verses are hard, aren't they? 1:55 The chorus gets better every time it repeats. 3:30 Descending guitar riff, signifying the end. All in all, it's a solid pop effort, which is nearly as audacious as the cover art. I'm only disappointed that, in deference to her new "mature" image, Katy failed to include the sound of an actual lion roaring in the song. I've put some playable samples below, so you can create your own on-the-fly remix.